Bhai sahib met Bhai Harvinder Singh Topi and Bhai Iqbal Singh Bagha. After completing his sentence in prison, he again secretly began to serve the community. Shaheed Bhai Kirpal Singh was born in 1966, son of Mother Surjit Kaur and Father Sardar Darshan Singh, in the village Damuda, Jalandhar. He was the eldest in the family, and was highly respected, in the village. After passing his 5th Grade, he passed the Metric at Dalory’s High School. During this time, the Indian Government attacked the Darbar Sahib, this had a profound effect on Bhai Sahib and he decided to joined the Sikh struggle. Whilst performing this seva, he was captured and was sent to prison. There, he met Bhai Harvinder Singh Topi and Bhai Iqbal Singh Bagha. After completing his sentence in prison, he again secretly began to serve the community. To keep the Sikh struggle in high spirits, he used to discuss issues with colleagues and made people aware of that the Government was doing. 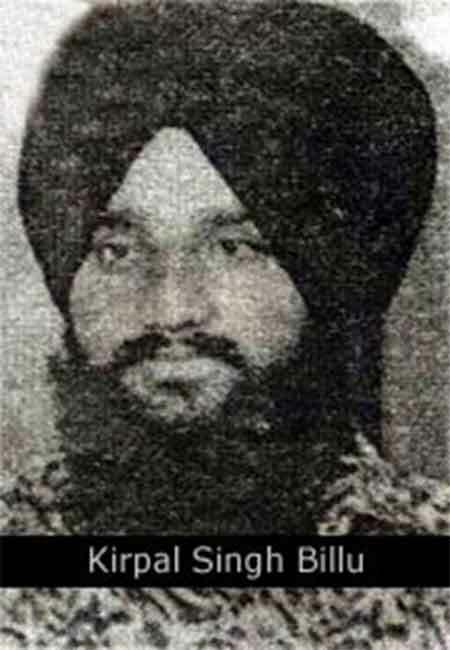 He was arrested again and was martyred in a fake encounter on 6th May 1991, by the Kartarpur Police. Bhai Sahib’s martyrdom is respectfully commemorated on 6th May by his village. Videos - Shoes & Bottles Thrown at Capt. Amarinder Singh in Fresno, California | Raising Slogans ‘Khalistan Zindabad’ .